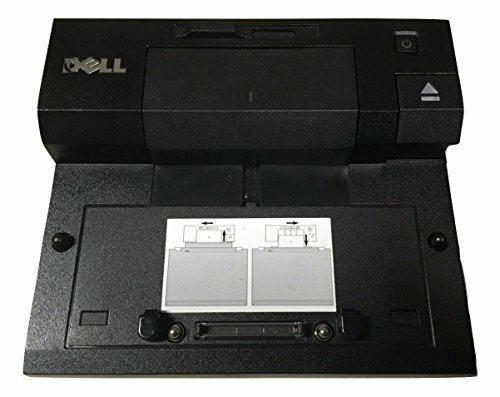 Dell PR03X E/Port II USB 3.0 Replicator for Dell E-Series Latitude and Precision Notebooks. Identical Dell Part Numbers are: CP103, XX066, T308D. Ports: 2x USB 3.0; 3x USB 2.0. Ports: 1x VGA; 1x DVI; 1x DisplayPort; 1x RJ-45 Ethernet; 1x Audio Line-out; 1x Microphone-In; 1x Dual e-Sata/USB port; 1x E-Monitor Stand port. Comparable Dell Part Numbers : CP103, XX066, T308D, PW380, 8RNJ7, 7K99K, 430-3113. Compatible but not limited to the following Systems: Latitude: E4200, E4210, E4300, E4310, E4500, E5400, E5410, E5420, E5500, E5510, E5520, E6220, E6320, E6400, E6400, ATG, E6400 XFR, E6410, E6410 ATG, E6420, E6420 ATG, E6430, E6500, E6510, E6520, E6530 Precision M2400, M4400, M4500, M4600, M6600.